This website contains a wealth of details your pet needs you to know. Take the time you need to study it thoroughly. and paste onto your web page. Simply highlight, copy and paste. although some systems block and will not email images or links. 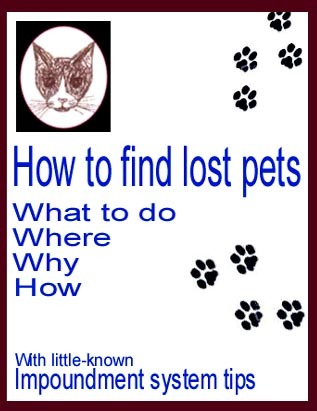 Study this site carefully; one little detail may be the one that brings your lost pet home. Most-comprehensive in scope, animal-pounds.com has the info you need. ... animal-pounds.com has the info you need.